Question: We are just not sure whether to pull a “dingy” behind an A class motorhome or pull a trailer or 5th wheel. We are hoping to make a purchase in one direction or the other in the next 6 months or so but uncertain as to what to choose. Any and all advice would be so appreciated. Answer: There are pros and cons to both options. In the end it really boils down to a matter of individual circumstances and preferences. 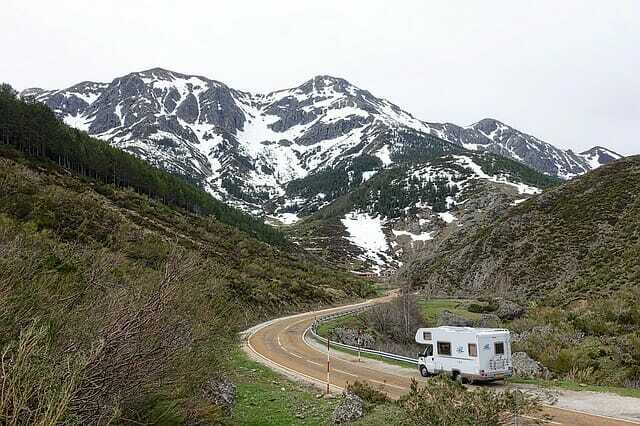 We have a page that covers some of the considerations when deciding between a motorhome or fifth wheel. Similar to other RVing choices, it is important to envision how you plan to live your RV lifestyle. Think about whether you plan to do a lot of travel with numerous stops or whether you are more inclined to stay put in an area for extended periods. This might be a factor in your choice of a motorhome or trailer. Read our page on the subject. Be sure to visit dealers and RV shows to look at the various models. Sit inside them, think about going about your day and the stuff you want to bring. Think about what is important to you and what appeals to you about the different types of RVs. In our opinion, either type of RV is fine. Just enjoy whatever you decide to buy, knowing that you did your homework and thought through the options. Safe travels and happy adventures. Feb 01, 2016 Motorhome or Trailer or 5th wheel? Depending budget of course, My first advice would be to narrow it down more precisely to maybe 5th wheel/truck or Motorhome/toad. My reasons are either of those two options will usually handle better in the wind if you are comfortable with larger vehicles. My father spent many years traveling with a 1 ton pickup/5th wheel combo. I prefer the class C towing my Jeep Cherokee Trailhawk. Any route you take? Talk to as many people that you can with the various combinations and make your own best decision. I also owned a diesel pusher towing a Grand Cherokee and frankly, if you didn’t see the jeep in the rear monitor it didn’t feel like towing at all. The upside to either type trailer is backing up. When towing four down, you have to think about your approach and exit strategy when stopping for fuel up and so on, as you cannot back more than a few feet at the most when towing a toad. Like anything else you do a lot, your choice will become second nature with time. I do a lot of back country NF camping and 4 wheeling and found the Class C a bit less of a hassle to get back in deeper in the woods and the Trailhawk will go anywhere. One other small plus to Motorhome/toad is two drivable engine vehicles if one were to break down. Make a list of what’s important to you and have fun with it. Good luck and enjoy!